Fresh Off The Boat… Have you heard about this show? To be honest, I don’t watch many TV shows. However, lately I’ve been following this little TV gem. Fun fact: I’m late to the party, two years late to be more precise. Well better late than never, right? Let me explain, if you are not familiar with the term. “Fresh Of The Boat” refers to immigrants that have just landed in a foreign country. Therefore, they haven’t assimilated or have a deep understanding about the local culture. In very few words, there’s a man named “Eddie Huang” and he’s a chef. In addition, he wrote this book called “Fresh Off The Boat: A Memoir”. Do you know, where am I going with this? Yes, the show is based on this “Eddie”. For those, who think the show is going to be boring or unrelatable because it’s about an Asian-American family — you’re wrong. Why? Take “The Big Bang Theory” as an example: a show about four scientists. But… most of us aren’t scientists. Does that make the show less enjoyable? Of course not. The same goes for “Fresh Off The Boat”. It’s not about you being Asian or not. Family dynamics is something pretty universal. And “Fresh Off The Boat” does it “perfectly”. What’s so “fresh” about “Fresh Off The Boat”? Maybe it’s just me, but I do think it’s interesting when shows characters that are “different”. When I say different, I don’t mean it in a condescending way. In other words, it’s interesting to see “non-whites” portrayed on TV shows, films and other media outlets. When you have such a specific show such as “Fresh Off The Boat”, it can be very tempting to make the characters look like stereotypes. However, I don’t feel that way about the show. 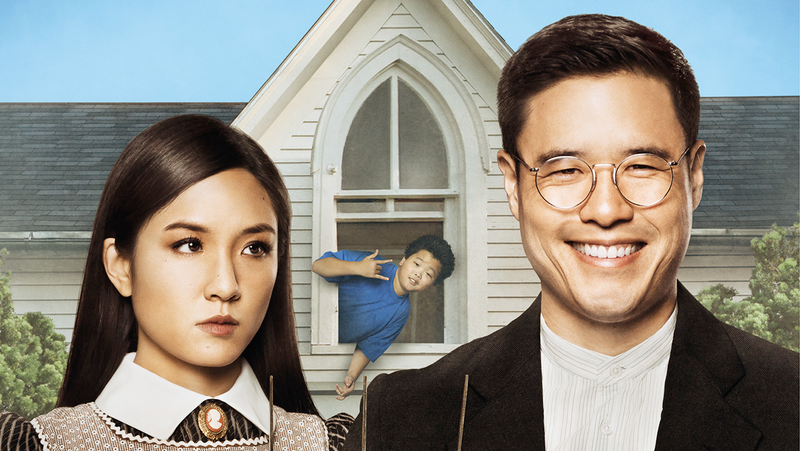 Don’t get me wrong the main characters are hilarious: Jessica (Constance Wu), Louis (Randall Park) and Eddie (Hudson Yang) are the real stars of the show. But the show also knows when to get serious. There are moments in the show, that makes you realize that characters are more complex than their funny lines. As I mentioned before, I don’t think “Fresh Off The Boat” is successful because of its accurate portrait of Asian-Americans. Now… let me tell you what do they portray accurately: family dynamics. That’s right, take a look at “Modern Family“, “The Goldbergs” and “The Middle“. What do they have in common? They are all about family business: the good, the bad and the ugly. That’s what keeps you hooked to the TV. Having said that, “Fresh Off The Boat” is definitely a yay for me. If you aren’t convinced yet, just watch one episode and make your own opinion about it. But “don’t knock it, until you’ve tried it”.